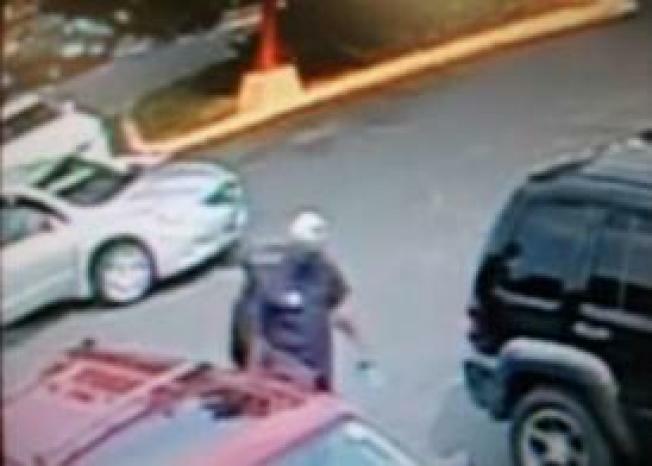 Prince George's County Police are on the lookout for two robbery suspects targeting victims in the Oxon Hill and Largo areas. Officials believe a suspect approaches a potential victim and engages in conversation. The second suspect then shows up, and the two threaten force before taking property from the victim. Similar incidents have been reported at CVS in the 6200 block of Oxon Hill Road in Oxon Hill and near the Bank of America in the 10500 block of Campus Way South in Largo. Police say the victims have been using different vehicles, which include a white two-door vehicle, a dark gray BMW and the vehicle pictured below. If you know who the suspects are, contact police at 1-866-411-TIPS.